The goal of this chakra healing meditation for the 6th chakra, more commonly known as the "third eye" is to find insight into yourself through intuition and wisdom. This chakra is where your heart and mind evaluates your beliefs and attitudes to see into your psyche, that which is both conscious and unconscious. Here is the seat of the power of the human mind as it seeks the Truth. The third eye chakra is the color of indigo. My chakra healing meditation for the 6th chakra is defined by this perfect indigo rose. The swirl of the energy unfolding in the rose, represents the wheel of life-force energy and the subtle body within you. For clarification of the subtle body energy, go to Chakra Yoga to help you understand that life force deep within us all, fed by the breath. When I started research to find quotes suitable for the 6th chakra's truth-seeking energy, the number of "perfect" quotes I found was astounding. Seeking truth seems to be a very popular subject of wise persons from all walks of life, regardless of their culture and/or religion. The recurrent theme, from the Bible to Buddha, is that this world is an illusion, and one must wade through "knowledge" that is readily available to deceive you, to arrive at one's own personal truth. You must do this in order to find your purpose in life. We can all see others issues, much more clearly than we can see our own. Isn't this so? Peeling the onion, so to speak, to remove our illusions is not an easy task. Our brains, specifically the left brain does a wonderful job of hiding our inner truth from our consciousness. We rationalize everything so we can continue to believe in our illusions. We think they protect us and keep us safe. However, often our illusions are based on fear instead of inner strength and wisdom. According to Richard P. Feynman, a theoretical physicist, "The first principle is that you must not fool yourself and you are the easiest person to fool." So true! Deep within our psyches we all know that there is a better and higher way of being. One that is without fear, and filled with abundance and joy. One that sheds the illusion that material things bring us fulfillment. Yet it is so easy to limit ourselves, and stay within our comfort zones, turning a blind eye, instead of opening our third eye. According to Gnostic Gospel of Thomas, logion 70, "If you bring forth what is within you, what you have will save you. If you do not have that within you, what you do not have within you [will] kill you." I believe it does! The Gnostics were persecuted and brought to extinction. Their practices and writings were destroyed as the Roman church sought to snuff out all but the teachings that fit their purpose. Fortunately, for wisdom's sake, copies of their Nag Hammadi texts were recently discovered in the desert of Egypt. Which brings me to the next point: "Believe those who are seeking the truth. Doubt those who find it." ~ Andre Gide (1869 - 1951), French author and Nobel Prize winner. It is accepted dogma from our culture via established religion, politics and social structures that often cloud your own personal spiritual insight. Learning to trust your own internal guidance through it's stirrings and longings is more true than zealotry from someone who tries to conform you to their ideas. As you can see, the third eye chakra is the chakra of wisdom and intuition. Your third eye sees beyond what meets the ordinary eye. The third eye is your inner and intuitive guidance. Yet it is even more, it is spiritual insight into the Truth that is timeless, and through love binds us all. The challenge of the 6th chakra is opening the mind as it becomes less self-centered, discerning what is truth among false truths, learning to find internal guidance and finally, discerning what thoughts we have that are motivated by strength instead of fear. The third eye is the gift of symbolic sight. The basic right of the 6th chakra is to find your own Truth. Seeking wisdom in your inner and outer worlds define this truth for you. The sacred truth in the sixth chakra is "Seek Only the Truth." Your right in this energy and emotional center, is to seek and find your truth. And the only way you can do this is through meditation and detachment. My chakra healing meditation can help. (More details below). 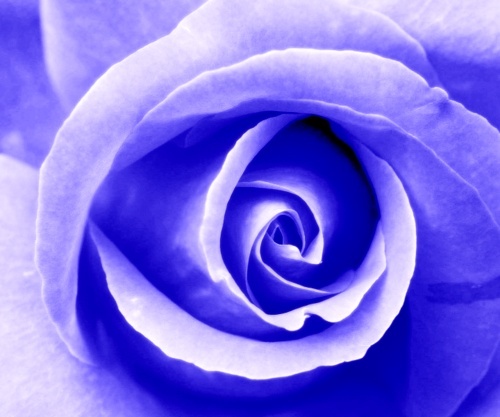 The color that coincides with the sixth chakra is indigo. This chakra is often called the "brow chakra" because it is centered in the middle of the forehead, between the eyebrows. It is the metaphorical eye, marked with a red dot on the Hindu's forehead, that represents this "third eye." The pineal gland, deep inside the brain, centered behind the third eye, is considered to be the regulator of the 6th chakra and the "seat of the soul." This is because this gland regulates our hormonal responses to light and perception. It secretes melatonin, the hormone that regulates relaxation and sleep, in response to lack of sunlight. When sunlight is abundant, less melatonin is secreted. The basic element of the 6th chakra is light, for without light, the physical eye does not see. 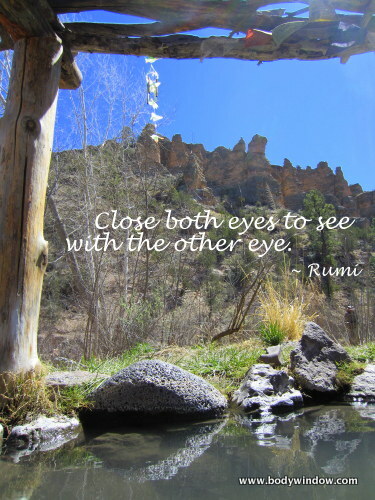 The physical eye "sees" forms through the reflection of light. Where would our human experience be, without our perceptions of sight through light? The third eye "sees" symbolically, and openly that which is beyond the physical eye and into the world of imagination, visualization and clairvoyance. Most importantly the third eye sees a different light known as insight. Those who perfect their skills of visualization are better able to take their 6th chakra energy and manifest their visualizations into reality. The specific mantra of the brow chakra is "I see." The Sanskrit name for this chakra is "Ajna" and literally means, "perception." It also means "to command" which is an interesting parallel to perception. Our inner images of perception and visualization command that which we "see" to materialize and become our reality. This is how energy becomes physical form. Those who allow others to dictate their truth are weak in this energy center. Those who allow their choices to be guided by fear or dogma, and those who are closed to releasing their minds to go inward to examine and release their fears, are also weak in 6th chakra energy. One who is never able to admit that they do not have all the answers, are actually showing fear of truly discovering themselves and their shadow nature. We all have a shadow and learning through our third eye, how to meet and come to terms with it, is paramount for health in this emotional center. The shadow will never be fully overcome, but if acknowledged, we release its power over us. Those who refuse to do the conscious work to find insight into themselves, and who rely only on their mental knowledge and the power of their minds, are deficient in the third eye. It takes true detachment from your "mind" and all it's answers to bring consciousness back into and towards yourself. Detachment of all your subjective opinions is important too. Releasing your opinions is a very, very difficult thing in our politico-religious world. Everyone wants to instill in you their beliefs. Is this you too? Is your third eye closed? Bringing your attention to your third eye, by using this chakra healing meditation can help you energize your own perceptions of your truth and help you release your opinions and the ruminations of your mind. Those with excessive 6th chakra energy are few and far between. They would be the opposite of the above, never sharing their opinion, never using their reason to sift through information. This person would be flighty, airy and ungrounded. I know of no such person. Do you? One who has an open and balanced third eye chakra is able to separate truth from illusion.The mindful skills that are developed in this emotional center allow the person to receive guidance and inspiration through their creativity and intuition. This is emotional intelligence, that allows the individual to evaluate their conscious and unconscious insights. Health in this 6th chakra invites freedom from fear, detaching from subjective thoughts, to a wider symbolic meaning in all situations. According to Carolyn Myss, of "Anatomy of the Spirit," one who has attained health here has such a strong sense of self, that external influences no longer hold authority over them. Honoring and being open to one's truth is the essence of all wisdom and Divine power in this third eye chakra. The only way to find your own truth, and gain insight into yourself is through many, many hours of silence and meditation, contemplation and self-reflection. Going inward requires lots of time and energy and the releasing of your fears. Breathing exercises are extremely important for you to learn how to release this fear! 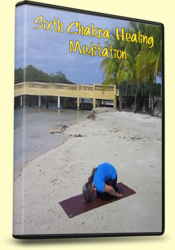 I will teach you how to release your fear, in this chakra healing meditation. Many people chose not to take this path, because of the time, effort and dedication it will require of you. The energy anatomy of the brow chakra resides in the brain, nervous system, eyes, ears, nose, pineal gland and pituitary gland. Any disturbances in the brain from tumors, hemorrhage, or strokes may be involved. Also included in this energy and emotional center are conditions of the eyes like blindness, blurred vision and eyestrain. Deafness, neurological disturbances, learning disabilities, seizures and difficulties of the entire spine manifest here as well as headaches, migraines and nightmares. I am also beginning to believe that fibromyalgia is a result of the manifestations of a closed 6th chakra, and also, in some cases, too open a 4th chakra of the heart. The women that I have coached with fibromyalgia are over-givers and over-achievers who suffer due to the neglect of themselves. Women with fibromyalgia have no insight into their self-destructive tendencies. Their floating pain is of a highly spiritual nature, one that is obsessed with being someone who they are not, in an attempt to fit into a rational world that does not honor intuition, so they close it off. People with fibromyalgia are also highly sentient and feel not only their pain but the pain of the world, which they carry in their bodies. I have created this chakra healing meditation to help you open your third eye. It is a combination of physical postures, breathing and meditation techniques to bring awareness into your brow chakra for healing. Just like the 6th chakra itself, this chakra healing meditation is more symbolic, meditative and intuitive. It requires more stillness of the body and a quiet mind. The yoga poses that I do use, require openness, stillness and release. We remember that the 5th, 6th and 7th chakras energies are more spiritual in nature and require a consciousness that isn't present in the "earthly" chakras of the 1st, 2nd and 3rd energy systems. (It is the heart, or the 4th chakra energy that ties all together). You may also enjoy my article on All Chakra Balancing. May your third eye open with this chakra meditation for healing. I hope you will always bring more consciousness, to your self, others and to the situations around you. May you find your subtle body energy to be healing, in all things, your body-mind-soul! My chakra healing meditation consists of two components. You will receive a link to a PDF file, that contains instructions for the video. The second link contains the video itself. Please make sure you download both items.